No one likes to get a bad review online. The sinking feeling when you see a one or two out of five rating and the harsh criticisms of unhappy guests erode at the heart of a good hotelier, and at the reputation of your business. As a result, many hoteliers have come up with ways to prevent negative reviews from reaching the public, some of which are distinctly unsavoury. 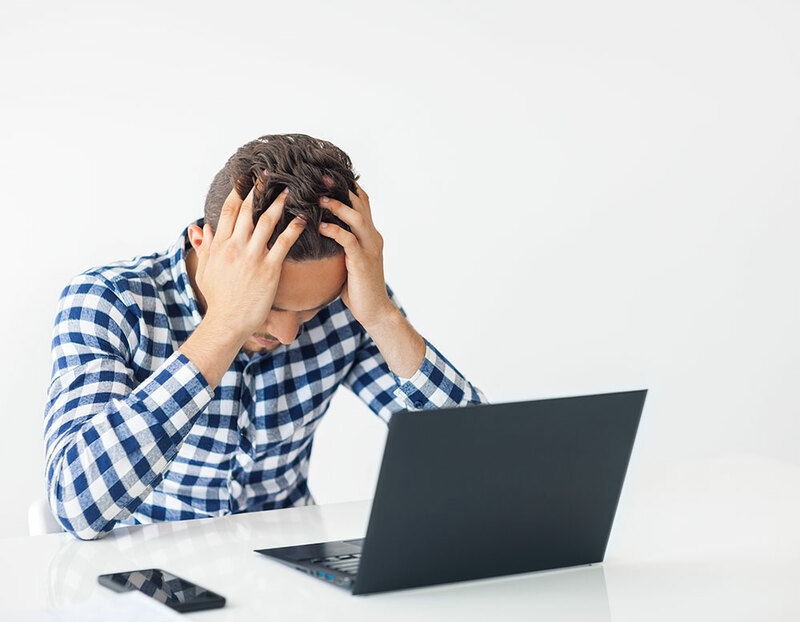 Some hotels have attempted to stifle poor reviews simply by preventing guests who had negative experiences from receiving the establishment’s usual review request email, and others have gone so far as to attempt to sue or fine guests for bad reviews. As dreadful as it is to see your life’s work slated online, however, you should never attempt to block, censor or circumvent negative reviews by duplicitous means or force. Between brand damage, operational oversight and possible legal consequences, the harm that can be done simply isn’t worth it. Here are just a few of the reasons why you should accept criticism gracefully, and some steps for managing your online reputation the right way. First and foremost, trying to silence people in the information age doesn’t work. There are simply too many ways for people to share their opinions and experiences – there are hundreds of review sites, online travel agents (OTAs) and social media platforms where people can write whatever they like, there are news outlets always looking for a story, and there is still good old fashioned over the garden wall word of mouth. Even if keeping accounts of negative experiences off review sites successfully influences people to choose you over your competitors to begin with, you can still be setting yourself up for failure by presenting a more positive image of your hotel than you can deliver, which will result in even more disappointed guests, and more people who want to write negative things about you online. For many of your guests, travel is a big investment of both time and money. 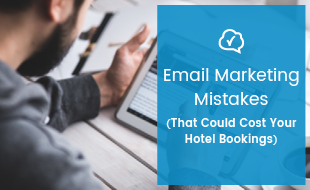 By manipulating your reviews, you mislead your potential guests, denying them the opportunity to get a complete picture of what a visit to your hotel might be like, and preventing them from making an informed decision – not a good start to a relationship. Not everyone has the same views on what constitutes a drawback in a hotel. For example, your hotel might get a bad review because the club next door pumped all night, but while Mrs Beige who was missing her cats might not have appreciated the noise, Nikki and her party-loving group of friends will be thrilled to learn about your area’s nightlife. Research has shown that 68% of people trust reviews more when they see both good and bad opinions, and, if they only see positives, 95% of people suspect censorship or faked reviews and distrust the establishment. Considering the aforementioned investment of time and money that you are asking potential guests to make in your property’s ability to offer them a good experience, trust is not something you can afford to jeopardise. As the Union Street Guest House in New York found out the hard way, trying to suppress bad reviews can, unsurprisingly, create a groundswell of public outrage. Although they are not the only business to have one, the Union Street’s “gag clause” attracted a fair bit of criticism online in 2014. The guest house attempted to claim the right to fine bridal couples $500 dollars for every negative review posted online by a member of the wedding party. The Economist referred to it as a “car crash of a policy” and the guest house’s Yelp listing was inundated with hundreds of negative reviews within days of the public getting wind of its attempt to threaten patrons into silence. 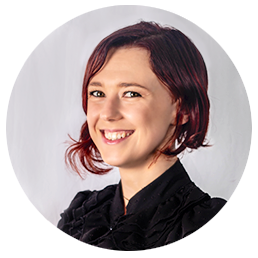 There are laws in place across economic regions that protect the consumer’s right to complain online, and even doing something as subtle as selectively excluding people from a mailing list can land you in legal hot water. As the Meriton Chain in Australia has also just discovered, even doing something as subtle as selectively excluding people from a mailing list can land you in legal hot water. The group was found guilty in court of “misleading or deceptive conduct” because they were preventing their review invitation emails from being sent to guests they believed might write poor reviews. People know that you can’t be perfect all the time, and that things do go wrong. More important than whether a stay was perfect or not is how your hotel’s team handled the imperfections. For example, rather than stopping review requests being sent to patrons who were at your hotel when something went wrong (as Meriton did when their lifts broke or when they had no hot water), give these guests the chance to tell others how you promptly rectified the problem or graciously made up for it. Responding well to negative reviews is essential to maintaining a positive online reputation. When negative reviews do end up online, they give you the opportunity to respond as management and show the public that when the inevitable does happen, you deal with it appropriately, and are dedicated to rectifying your mistakes. The way you respond to reviews can sway people to either book with you or not. 87% of TripAdvisor users say that an appropriate management response to a bad review improves their impression of the hotel, while 69% say that a defensive or aggressive response makes them less likely to book. When guests share negative experiences online, they give you the opportunity to see your hotel from their point of view and may help you to identify strengths or weaknesses you never knew existed. If you keep track of trends in criticism and act appropriately upon negative feedback to rectify problems, you will improve future guests' experiences, and ensure that you earn more positive reviews through providing a superior offering. Gaps can exist between the expectations and experiences of a guest, and between the perceptions of guests and management. It is in these gaps that service quality, as perceived by the guest, often falls short. Read about the Gap Model here. More reviews are almost always better. Most people prefer to read several reviews to get a balanced perspective of a property before they decide for or against booking. 79% of TripAdvisor users prefer to read 8 – 12 reviews before they choose a hotel, and the algorithm that calculates your ranking on TripAdvisor is also influenced by the number of reviews you have (as well as recency and rating). By proactively asking guests for reviews, you can encourage people who were satisfied but who may not have been inclined to write a review on their own to give you a review. Often, the guests compelled to write reviews online are either of the very happy or very angry variety, while the "silent majority" – those whose expectations were met but not exceeded or fallen short of – don't bother to go through the effort if left to their own devices. Don’t force guests to use public forums such as TripAdvisor and Yelp as a way to let you know that your establishment didn’t make the grade. Rather, give guests a direct line of communication with your hotel. This lets them know that their concerns have already been heard, and by the time they come to writing their TripAdvisor reviews, they are less likely to want to air all of their grievances publicly. GuestRevu data shows that guests who have gone through the process of filling out a direct online questionnaire form a hotel before they submit a TripAdvisor review tend to give the hotel a higher rating. No hotelier should accept unjust reviews or allow themselves to be bullied and blackmailed. If you suspect a review is fraudulent in some way (for example if it was written by someone who wasn’t a bona fide guest or was posted in an attempt to blackmail you) there are ways to bring these reviews to the attention of review site moderators and combat review blackmail. Attempts to prevent negative feedback from reaching the public have been a hot topic in the travel industry in the last few weeks, but if recent events have taught us anything, it’s that attempting stifle or censor criticism is not only futile, but can potentially do irreparable damage to your brand. When it comes to managing your online reputation, you have two options: Be transparent and part of the conversation and reap the rewards or do it wrong by trying to falsify your image and suffer the consequences. 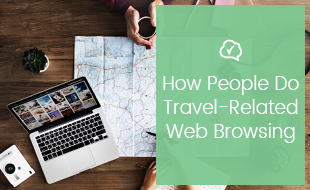 Want to make sure that your TripAdvisor listing is ticking all the boxes for potential guests? Click on the banner below to download our free checklist.